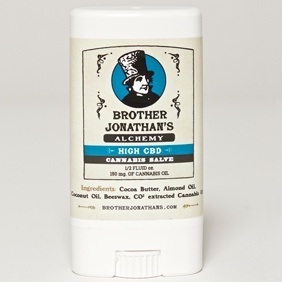 MEDICAL PATIENTS ONLY High CBD salve for topical application. Commonly used for treating arthritis, fibromyalgia and joint pain. Each package contains 150 mg of cannabis oil. Please check our website for current availability and cannabinoid profile. Posted Feb. 16, 2018, 2:12 p.m.